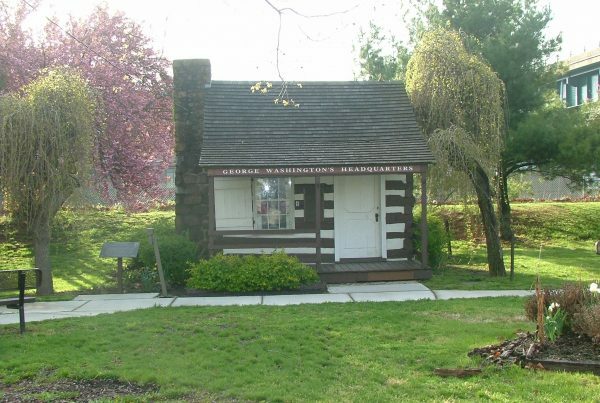 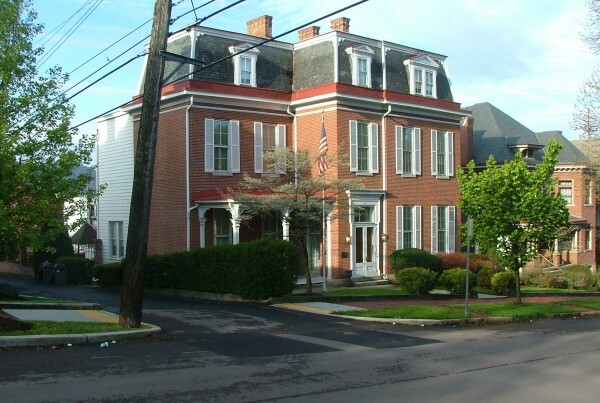 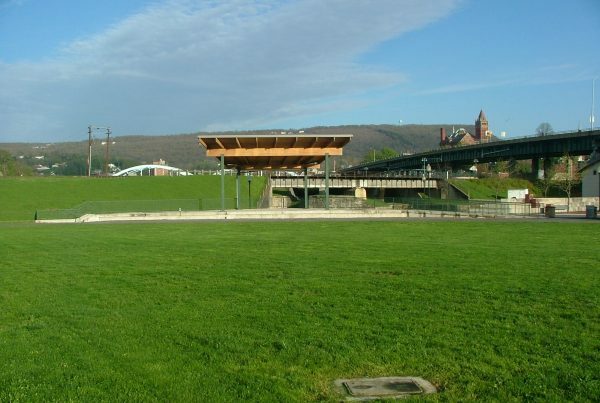 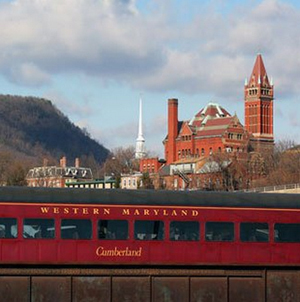 Cumberland is a beautiful town nestled in one of the few natural passable cuts in the Allegheny Mountains of Western Maryland and is listed in the National Register of Historic Places. 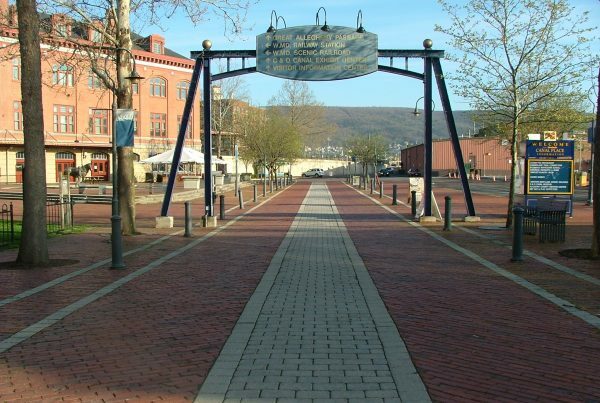 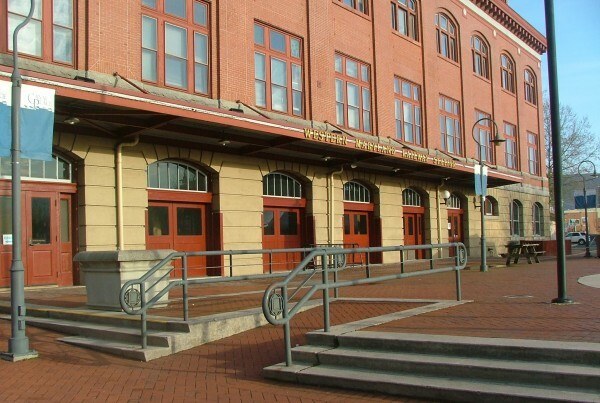 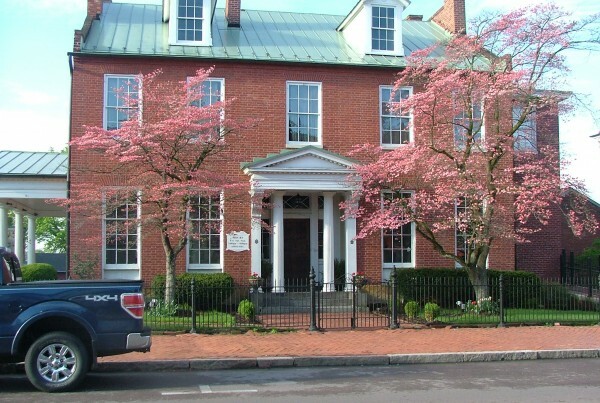 In its early days it was a transportation hub, a center for the railroad and timber industries, the starting point of the first National Road (now Route 40), and the terminus for the C&O Canal. 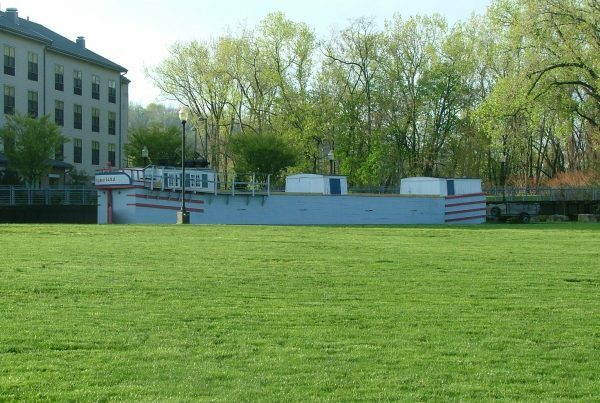 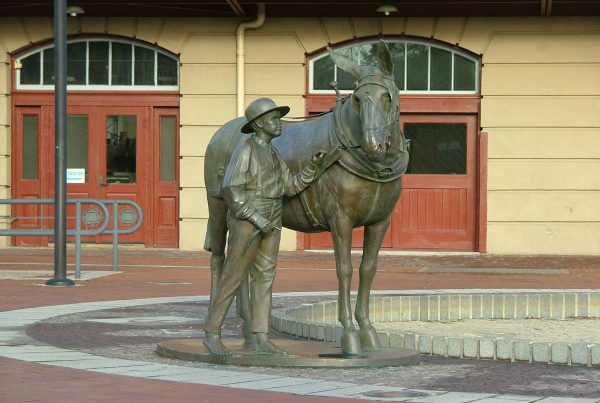 Today it is a meeting point for the C&O Canal National Historical Park and the Great Alleghany Passage which form a continuous trail that runs from Pittsburgh, PA to Washington, D.C. 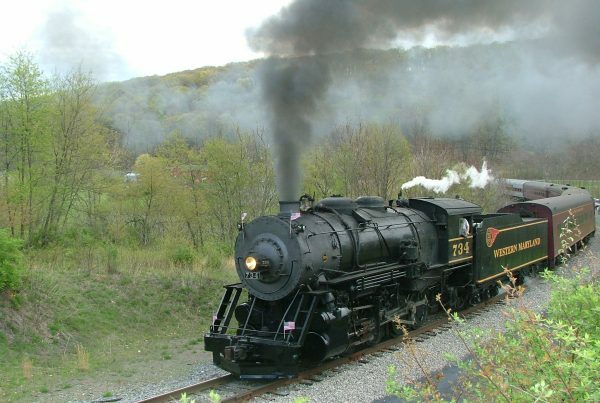 It is also home to the Western Maryland Scenic Railway. 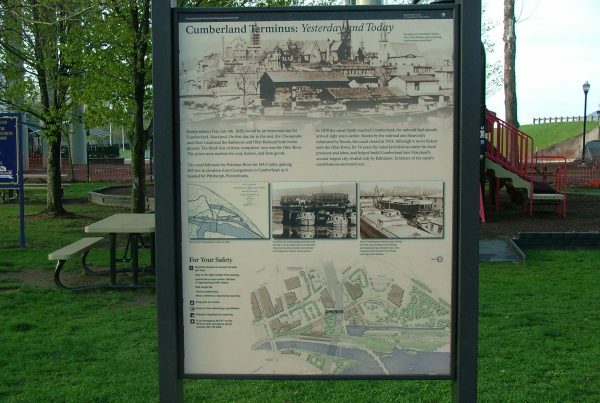 In the 19th century Cumberland was known as the “Gateway to the West”. 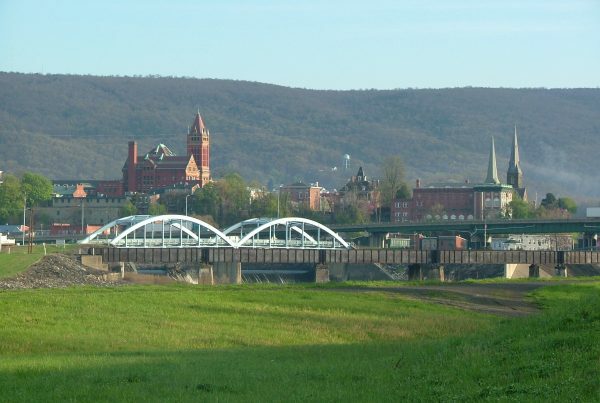 The Potomac River cuts through the mountains in and around Cumberland and afforded one of the easiest westward passages. 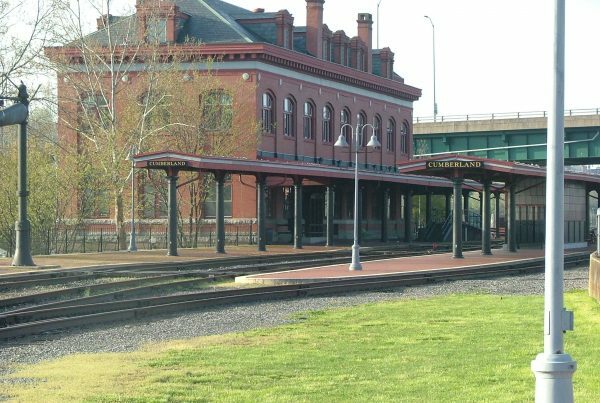 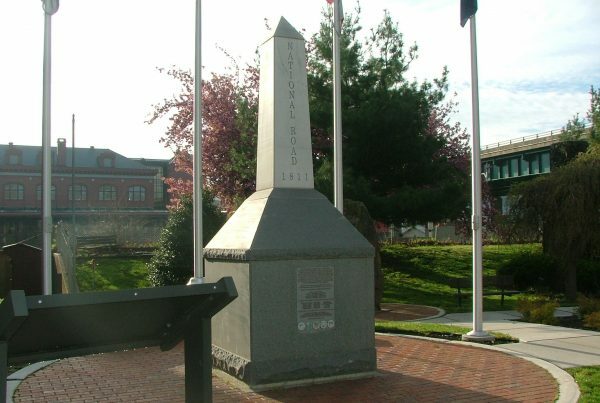 It was here that the C&O Canal terminus met up with the B&O Railroad and the National Road, a transportation triad that helped the city achieve the status of the second largest city in the state and afforded it great prosperity and growth. 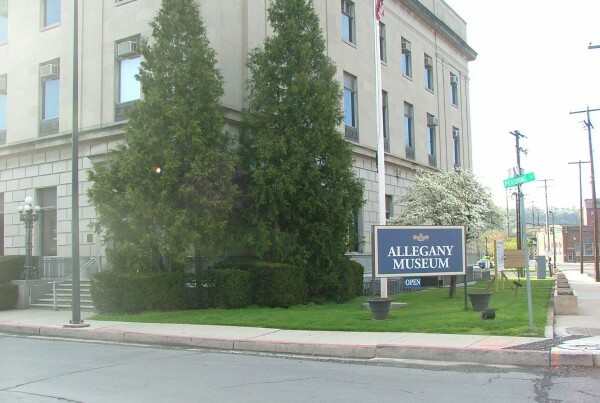 In the late 1900s, the national economy was struggling and many of the industries that had moved into the area in the preceding years (glass manufacturing, brewing, tires, steel) closed their doors which greatly affected the local economy. 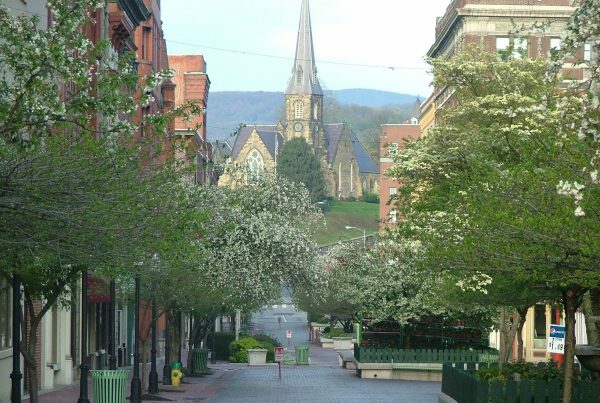 City leaders began to focus on tourism and many small firms helped lead the way to new growth. 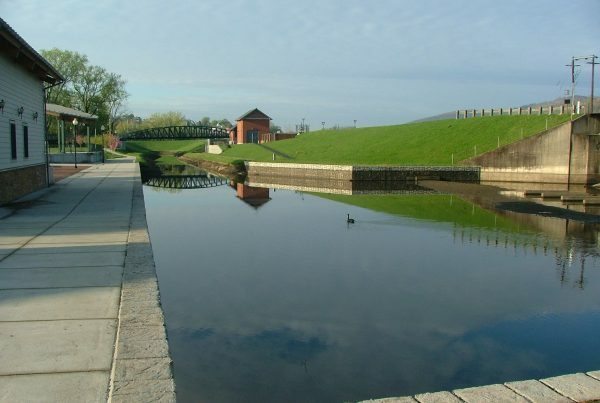 Today a major revitalization is taking place in and around the terminus of the C&O Canal in Cumberland and that area has been recognized as Maryland’s first Certified Heritage Area, Canal Place.